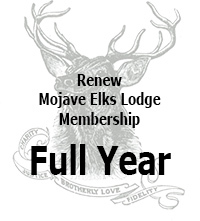 Renew Mojave Elks Lodge #2059 Annual Membership by making split payments, one in April, one in October. When you renew, you receive a new card for entrance access to the club room and can proudly enter ANY lodge in America. 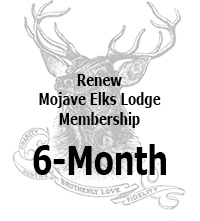 Renew Mojave Elks Lodge #2059 Annual Membership for 6 months. Pay only $48.25 now and then $25.25 in October. 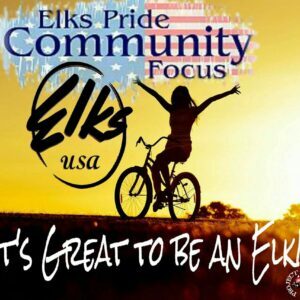 Join now and help us support you.